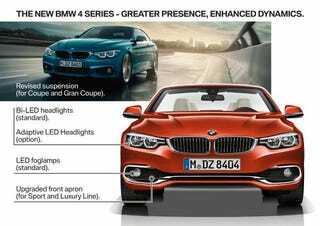 This is a new release (LCI means “facelift” in BMW-speak). Attached are some photos from Bimmerpost. What are most obvious are a few minute changes: the new LED lights on both the front and rear, and also the slightly altered front apron. The rest are more trivial: new wheel styles and paints. There’s also an updated navigation system inside, and my favorite: a digital gauge cluster! Just keeping you guys in the know.